The Publication Manual of the American Psychological Association (6th ed. ; 2010) states, “For clarity, restrict your use of we to refer only to yourself and your coauthors (use I if you are the sole author of the paper). Broader use of we may leave your readers wondering to whom you are referring; instead, substitution and appropriate noun or clarify your usage” (p. 69). It takes a significant amount of extra time to grade papers that misuse the first person plural. In part, this is due to noting that the general usage of first person plural should be avoided in scholarly writing and referring students to this webpage. However, the primary reason it takes longer to grade these papers is that each time I stumble across “we” or “our” or “us” I have to pause to decipher to whom it is most likely that the student is referring. It should not be the reader’s responsibility to try to determine this; rather, it is the writer’s responsibility to write clearly. When the first person plural is used incorrectly, it can cause us to pause in our reading of the paper to try to determine what group of people is being referred to by “us” or “our.” We prefer to not to cause unnecessary stress our reader, especially when it is our professor grading our paper. When the first person plural is used incorrectly, it can cause the reader to pause to try to determine what group of people is being referred to by “us” or “our.” It is better to avoid causing unnecessary stress to one’s reader, especially when it is a professor grading a paper. In our profession, it is important to be clear in our writing. When the group being referred to is not clearly identified, it can lead to misunderstandings. In the profession of psychology, it is important for scholars and researchers to be clear in their writing. When the group being referred to is not clearly identified, it can lead to misunderstandings. In more informal writing, such as newsletters and blogs, the use of the first person plural is more common. 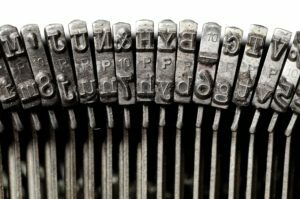 While the same problem of a lack of clarity still applies, many writers prefer to use the first person plural when writing for a general audience or in an informal context for the reason that it can help the writing feel less formal. For scholars, it is important to be able to write in different styles of writing to communicate effectively to different audiences. It is essential to master the skills of scholarly writing, but this style of writing is not likely to appeal to a broader audience. However, the more informal styles of writing typically draw a stronger critique in scholarly settings because the informal style, such as using the first person plural in a general sense, lacks the clarity and specificity needed to communicate effectively in scholarly contexts. Therefore, if you are writing a blog, newsletter article, or magazine article, using the first person plural is generally acceptable. When using it, I still recommend considering whether you are loosing essential clarity by its use. If so, then it is best to avoid it. Furthermore, it is always better to restrict how frequently it is used. The first person–singular and plural–is acceptable, even preferred, when referring to the authors. It is best to avoid descriptors such as “the author(s)” or “the researcher(s)” referring to yourself for the same reason that the general use of the first person plural is discouraged: It is often not clear the person or persons this to whom this is referring. If you are writing a scholarly paper, you should be citing many authors and researchers. To avoid confusion, if you reserve the first person to references to yourself or yourself and your co-authors, and use the scholars’ names when referring to them, your readers will experience less stress and confusion reading your papers. While it is appropriate, and preferred, to use the first person when referring to the author(s), it is also important to not overuse it. Keep in mind that you are the author, which makes many “I” referents unnecessary. In scholarly writing, saying “I believe” or “I think” is rarely appropriate. This is implicit as you are the author. Instead, just state your position and then support it with the scholarly literature. While “I maintain” or “I argue” are more likely to be appropriate as they can clarify your intentions, they should be used in a limited manner. Even when it is an appropriate context to use the first person, over-using it is not good writing.